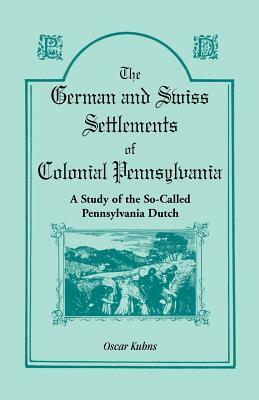 This CD contains a facsimile of the classic work on German pioneer lifestyle, An Account of the Manners of the German Inhabitants of Pennsylvania (1910), by Benjamin Rush with an introduction and annotations by Theodore E. Schmauk. Rush's account examines immigration and immigrants, farmers, mechanics and merchants, schools of the Pennsylvania Germans, religious bodies and societies, culture and prosperity. It concludes with a look at the Pennsylvania German in the Revolutionary War, the legacy of Christopher Ludwick, and the German Governors of Pennsylvania.The United States is a rich mosaic of diverse ethnic groups. It is important to understand and appreciate them all. This volume looks at the German Colonial Era and examines the beginnings of German-American social history with the aim of providing a greater understanding of German-Americans and their way of life.The format used on this CD preserves the look of the original page, however, there is no electronic index and the CD is not electronically searchable. The original index to subjects, surname index, and illustrations are included.